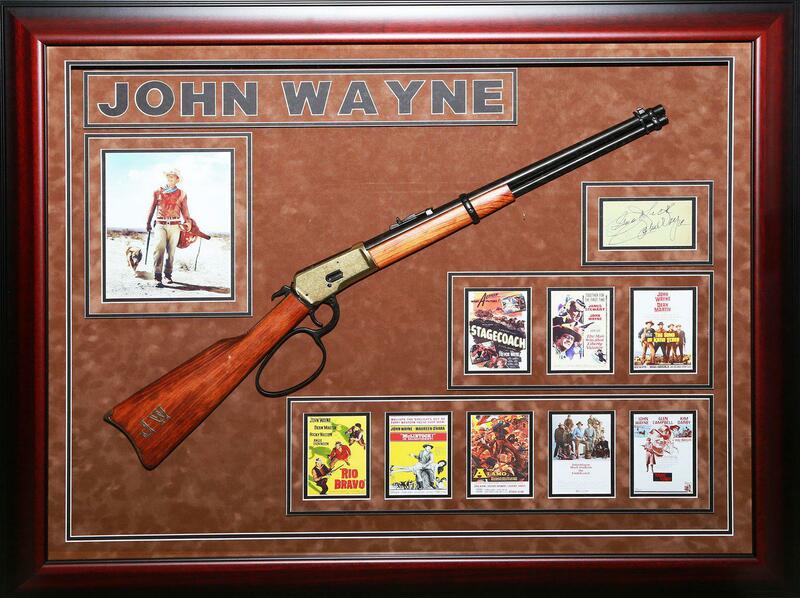 Hollywood Entertainment Memorabilia and Collectibles include an Authentic Gun Prop with the initials JW, Autographs and Mini Poster Reprints of John Wayne’s early work. Approx. Measurements of Frame: 37 x 45 inches.